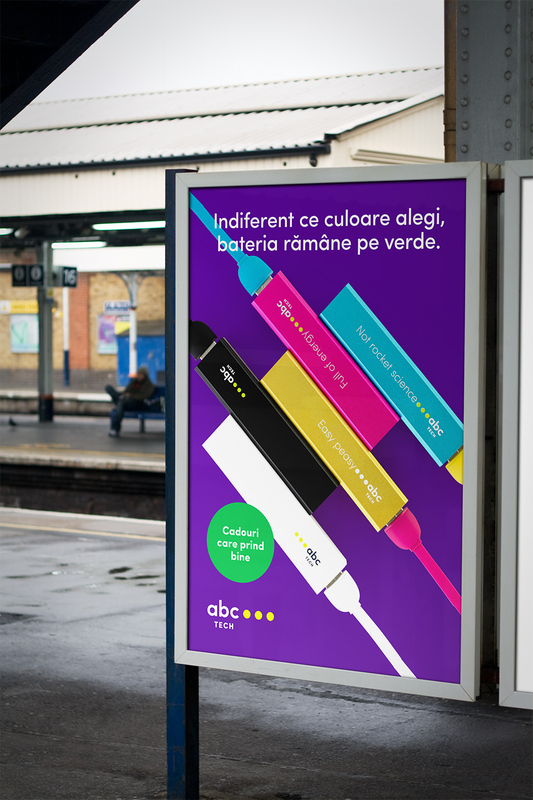 ABC Tech is a Romanian start-up that helps everyone who owns a mobile phone with easy solutions to stay connected. A phone charger isn't big news, but turning it into impulse buying is. 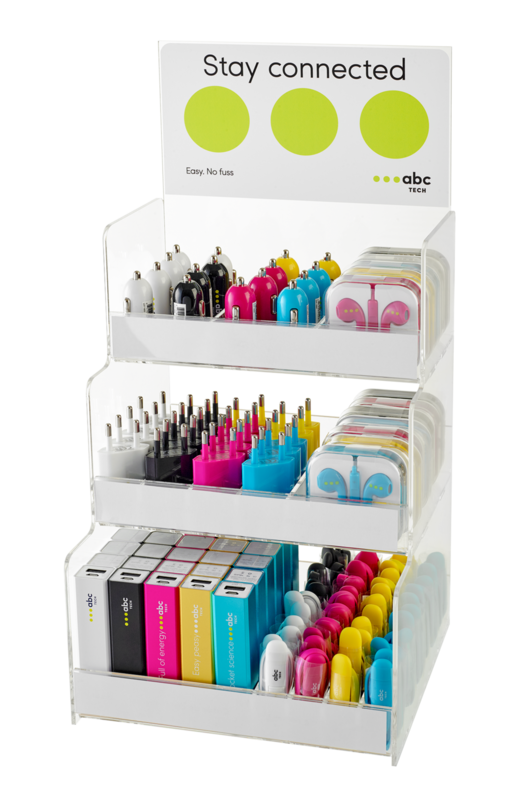 You can find these phone accessories at checkout in over 600 retail stores across Romania. Gas stations, hypermarkets, restaurants, cafes, you name it. Thanks to this idea, the business has already reached its first million euros in less than one year since launch. The name was a given, so our job was to express it in a relevant and distinctive way. The slogan captures what the brand is about: readiness. It has the courage to say that charging shouldn't be a fuss or a headache in modern times. The visual identity is simple and clear. 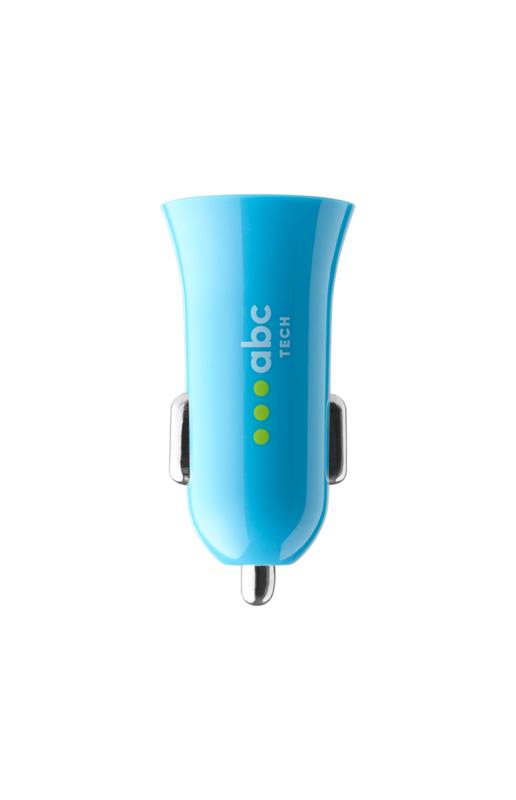 The three-dot symbol makes it easy to remember the ABC in the brand name and looks like a battery that's charging. We used NodeBox to develop a pattern based on the logo. It's an array of moving dots that give the feeling of connectivity. 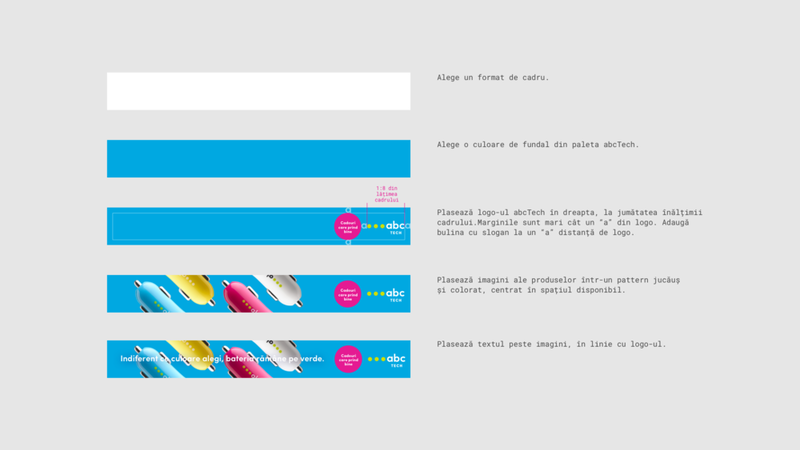 The communication platform is free and relaxed, ensuring just enough consistency to keep the brand recognizable. 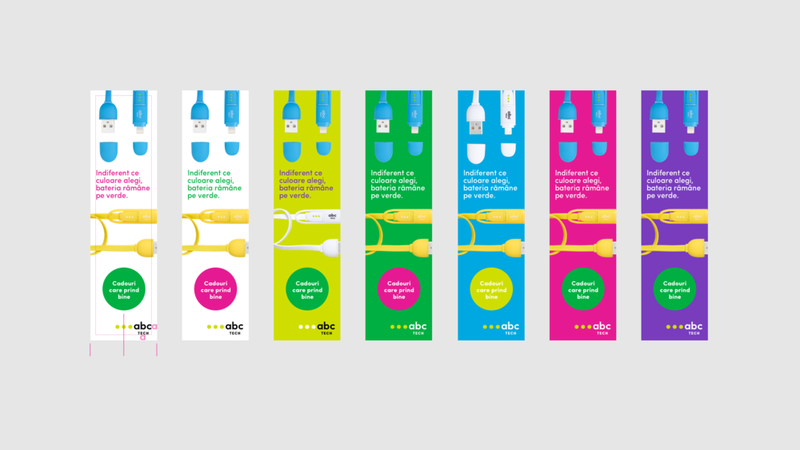 The colour palette is flexible as well: white for simplicity, green for charging, and vivid backgrounds which contrast the products. The communication is straightforward and accessible because the products are universal. A bit of character comes along naturally too when the business idea is smart. We worked on all the details from product and packaging to the sales presentation to keep the brand consistent in every touchpoint.